Question of the Week – What are your three must-have products for a home manicure? Answer: – Oh, I like this question because I can answer it with absolute confidence! My three can’t-live-without nail products are (in no particular order): LUSH Lemony Flutter, Mont Bleu Crystal Nail File, and Lumos High Speed Top Coat. Nouveau Cheap – ChapStick has been releasing some yummy Limited Edition flavors over the past few years, but their new Cupcake Creations Collection really takes the cake (pun intended). Grab these babies while you can! Pink Sith – says there can be trouble with Taupe. Can that even be possible with this taupe loving fiend? Check out her comparisons of just one taupe among many bloggers. Prime Beauty – Prime Beauty has fallen head over stilettos for the Smashbox Love Me Collection for Spring 2013, but she has a dilemma. Should she stick with her old boyfriend or go for the handsome new stranger? Help her decide. Phyrra – has fallen in love with a new indie company called Girly Bits! See her review, swatches and manis. Vampy Varnish – completely loves the new Candy Sprinkles Nail Lacquer collection from Hard Candy exclusive to Walmart! we heart this – you’ve tried Birchbox, but have you tried Birchbox Home? Who knew a citrus spritzer could give me such joy! Beauty Junkies Unite – Amber has the review & swatches of the new OPI Oz The Great and Powerful Collection! Clumps of Mascara – is lovin’ Zoya’s Lovely nail polish collection. Spring is absolutely in the air! EauMG – shares her favorite chocolate perfume! 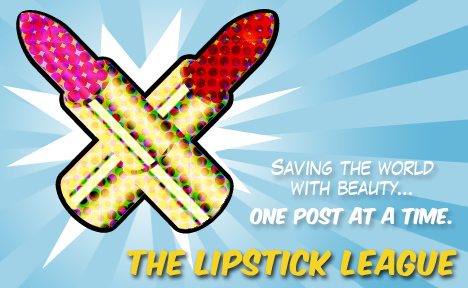 Lipglossiping – takes a moment to appreciate that rare wonder of makeup doing exactly what it’s supposed to! My Beauty Bunny – goes to the Oscars! See her photos. Guest Post of the Week, as chosen by Nouveau Cheap – Do you ever wonder how your favorite nail polish bloggers get those beautiful, sharp close-up shots of their manicures? One of my favorites, Jen from The Polishaholic, reveals her secrets here. What are YOUR three must-have products for a home manicure?